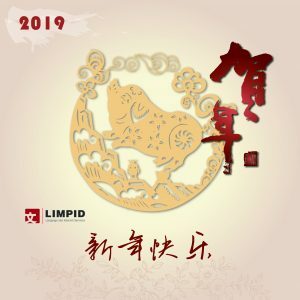 FREE Chinese New Year greeting e-cards | Year of the Pig free cards! China will celebrate the New Year on February 5th. It’s considered as the most important holiday as they welcome the Year of the Pig. The 15-day celebration is packed with feasts, traditional food, decorations, and highlighted by a religious ceremony according to the customs. Our annual tradition for Chinese New Year! You’re entitled to receive free Chinese New Year electronic greeting cards. 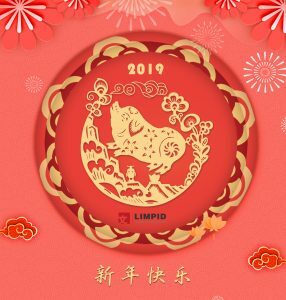 To foster relationships with your Chinese business partners, colleagues, and friends, sending greeting cards is a good way to extend your wishes in this upcoming Year of the Pig. At Limpid, we have prepared these two for you. Contact us now and claim them for free and share to social networking sites, too!